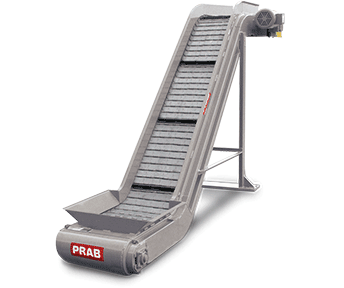 PRAB is the leading manufacturer of world-class scrap handling systems, fluid filtration equipment, and industrial water & wastewater treatment solutions. Everything we manufacture is built tough to outlast competing equipment and exceed our customer’s expectations. Typically, customers who partner with PRAB experience a short return on investment and a long, 20+ year equipment life span. PRAB Engineering’s extensive knowledge in the metalworking industry is the result of more than 65 years’ experience, and thousands of successful installations for the world’s leading OEMs and suppliers. Our engineers work to design and build the best solution for you to manage your specific metalworking waste in a way that’s most beneficial to your business. We offer project management through concept and build, to installation and aftermarket support to much of the world’s leading industries, including automotive, aerospace, electronics, defense and energy. PRAB is committed to quality engineering, problem solving, testing, servicing and equipment building to improve your metal scrap and fluid management processes, ensuring that every minute of production is optimized with our equipment, so you can work more efficiently than ever, with minimum operating cost. Contact PRAB today for your metal scrap handling, fluid filtration or industrial wastewater treatment needs. 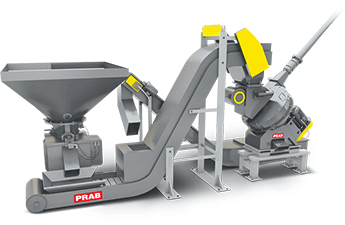 PRAB offers a wide selection of customizable conveyor options for moving metal scrap and spent fluids in your stamping, die cast, laser or machining operation- to quickly and automatically remove waste away from the point of production. Automatically transporting these wastes away from core operations allows for optimum production cycles, longer run times, increased worker safety, improved housekeeping and less fork lift traffic. 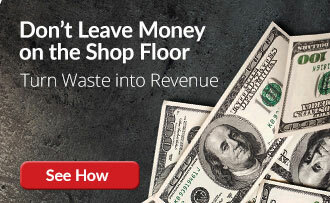 Metal Scrap Processing EquipmentReduce turnings volume and separate chips from fluid for recycle or reuse. PRAB’s Machining Scrap Processing Equipment division offers a full-line of scrap metal equipment for reducing metalworking scrap to flowable chips and separating chips from spent fluid for recycle or reuse. 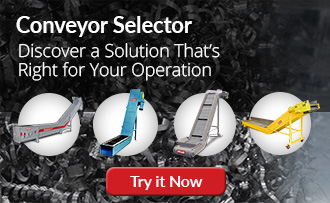 Our experienced sales and engineering staff works with each customer on an individual basis, collecting vital application data and putting together the best solution to help increase productivity, get more value from metal scrap, use less floor space for moving and storing, and create a cleaner, more safe working environment. By separating and clarifying valuable fluid and extending the life of your machine coolant you can reduce your operational costs by as much as 90%. PRAB offers a full selection of centralized, or machine side fluid filtration systems for solving fluid management issues and maximizing your investment. Typical payback is within 6-9 months. Industrial Water & Wastewater EquipmentReduce water consumption, cut down on operational costs and stay in compliance. Recycle coolant, washwater and other fluids locally to increase tool life and product quality, reduce maintenance, and increase the life of working fluids. PRAB offers a wide selection of industrial filtration equipment technology options for all phases of the fluid waste management lifecycle, including particle filtration, membrane separation (micro-, nano- and ultra-filtration and reverse osmosis), and vacuum evaporation technology.